Famiglia Baldassare is a busy place. I knew this before I even went there, and yet I was still surprised at how busy it was. It doesn’t help that the place is absolutely tiny, with maybe four or five small tables. 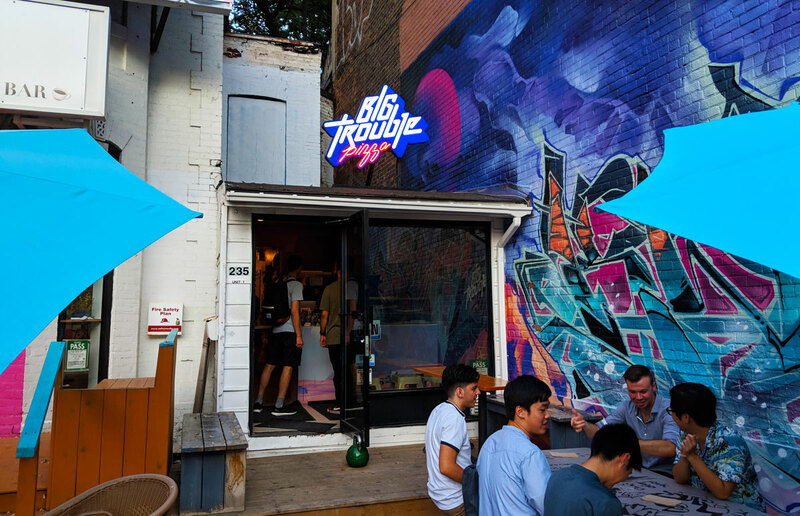 It gets packed immediately, so your odds of snagging a table are slim. My dining companion and I wound up eating on one of the handful of tables outside (that may or may not have belonged to the neighbouring coffee shop). It was cold and drizzly, and yet as soon as I started eating that amazing hand-made pasta, it all clicked into place. Totally worth it. 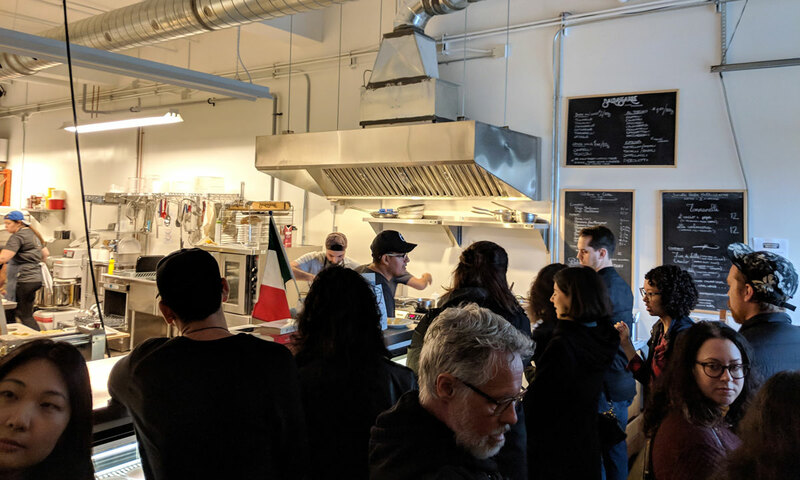 The “restaurant” is actually a side business for Famiglia Baldassare; mostly, they supply freshly-made pasta to various restaurants around the GTA. 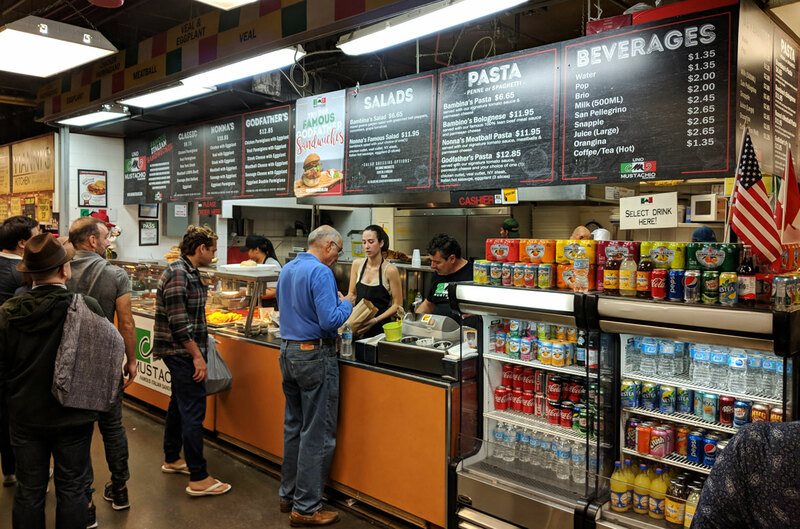 But if you come at lunch during the week (and are willing to brave the aforementioned crowds), you can choose between two delicious pasta dishes. 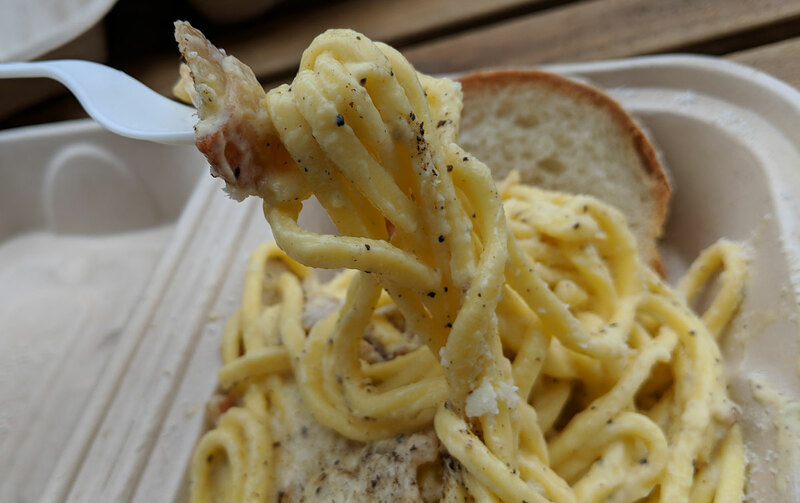 On this particular visit, it was cacio e pepe and carbonara. I went with the carbonara, which was indulgently rich without feeling overly heavy. It was cheesy and silky and amazing, with satisfying pops of meatiness from the guanciale. 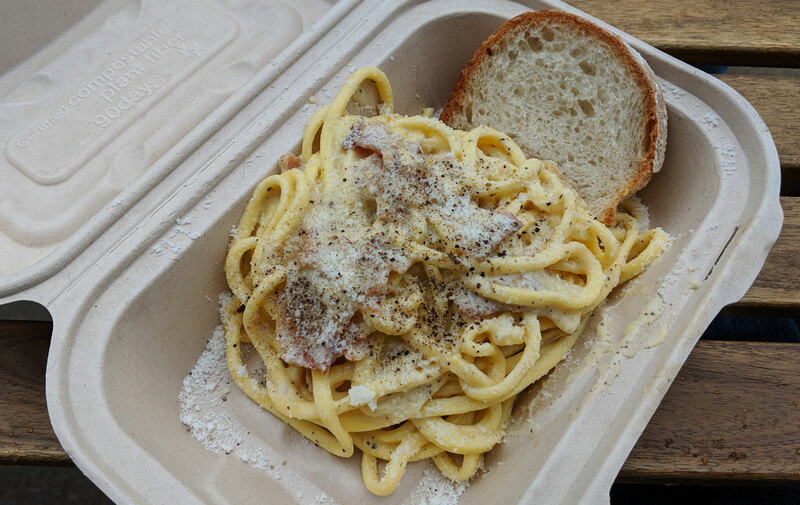 It was maybe a touch too salty, and I wish the guanciale had been crisped up a bit more (it wasn’t really crispy at all), but it was otherwise a superb bowl of carbonara. And then of course there’s the pasta itself, which is the real star of the show. A really good fresh pasta is radically different from the dried stuff you can buy at the supermarket. It’s got that dense, chewy texture that’s fairly irresistible. It’s so good. Also: don’t pass on the bread they have off to the side. It’s some of the best bread I’ve had in a while, so clearly, everything here is pretty great. 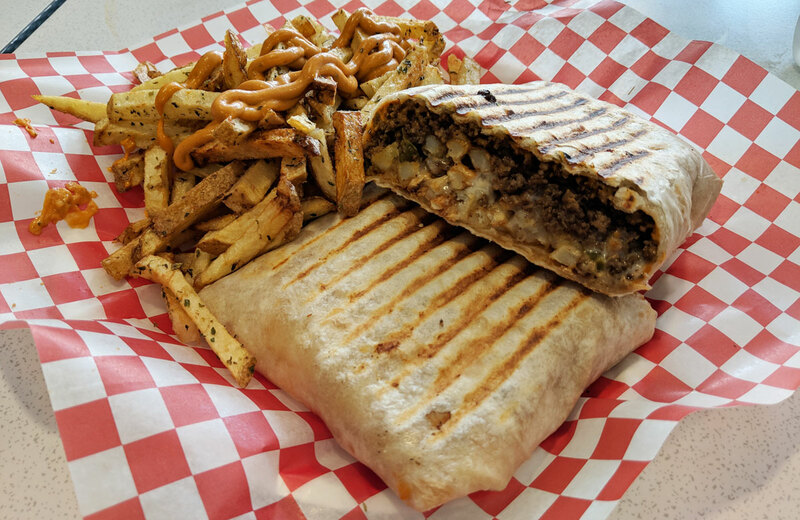 I’m not sure exactly how long I’ve been eating sandwiches at Uno Mustachio, but it’s been at least a couple of decades, if not longer. Actually, “sandwiches” isn’t right. Sandwich. 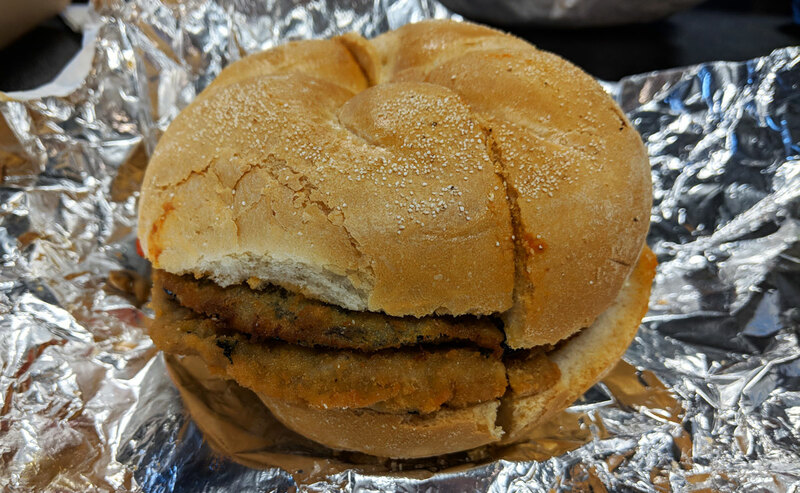 As far as I’m concerned, there’s only one thing to order at Uno Mustachio: the veal and eggplant sandwich. The other sandwiches and pastas they have on the menu might be delicious; I’ll never know. I don’t go there nearly often enough to mess around. Veal and eggplant for life. 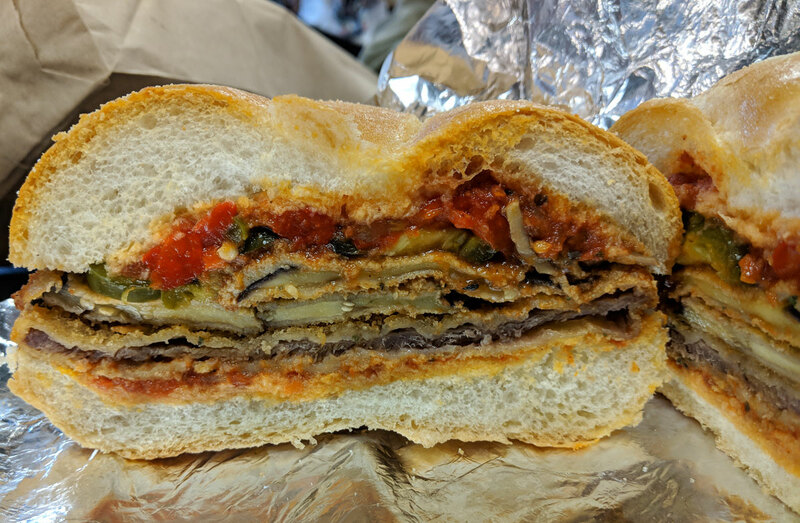 It’s a simple enough sandwich: a fried veal cutlet, a couple of slices of fried eggplant, sauteed onions, peppers, and mushrooms, a generous ladle of tomato sauce, and some hot peppers if you feel like kicking it up a few notches. It’s all served on a crusty roll that does a great job of holding up to the very messy sandwich without falling apart. It’s as delicious now as the day I started going there. 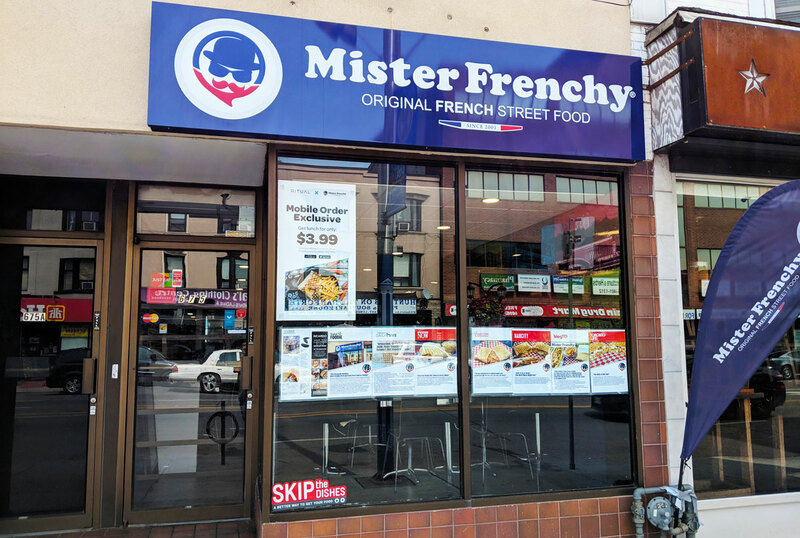 You can get fried veal sandwiches all over the city, but (and maybe this is my nostalgia talking), Uno Mustachio is the king. All of the components are so well prepared, and they all compliment each other so well. The simple but rich tomato sauce is great, and — this is key — they apply it to the top and bottom of the sandwich instead of dunking the fried components right in. This allows the sandwich to be nice and saucy, but prevents the crispy fried bits from sogging up. The creamy eggplant compliments the meaty veal perfectly, and the whole thing feels so well balanced despite how hefty and messy it is. 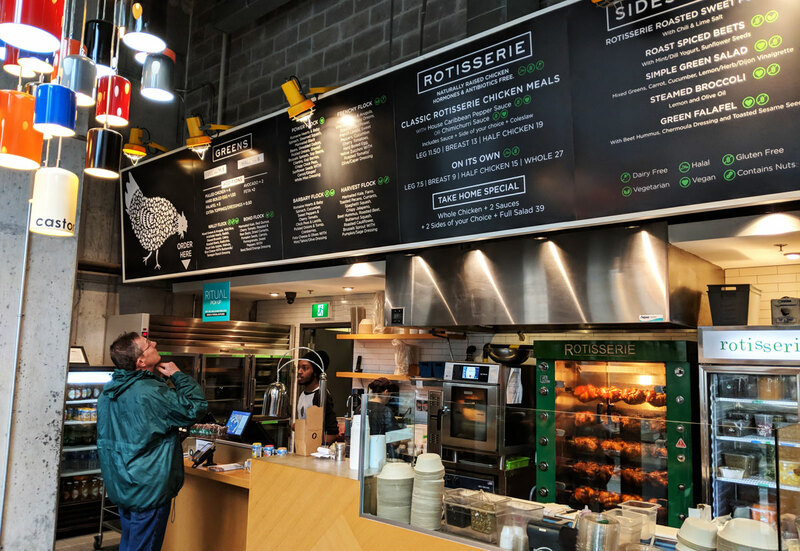 It’s easily one of the best sandwiches in the city. 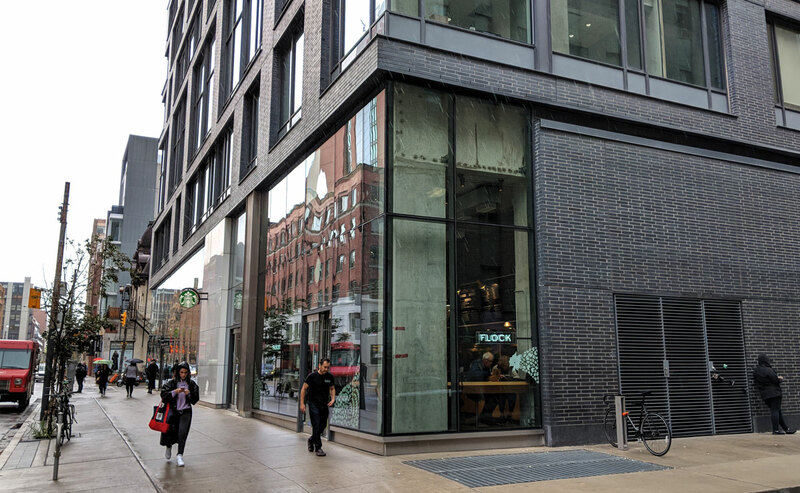 If you’re downtown and you’re looking for something quick and relatively healthy, you could probably do worse than Flock. Though I’m not crazy about their much-ballyhooed chicken sandwich (its texture is one-note soft, and it generally doesn’t taste much better than something I could throw together at home from leftovers), I just tried one of their salads and found it quite satisfying. 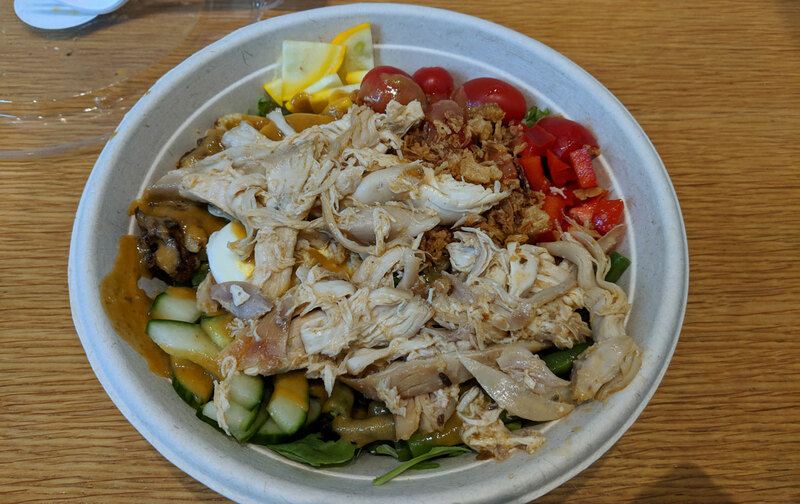 I got the Frenchy Flock (“Mixed Greens & Arugula, Vine Beans, Crispy Onions, Roasted Cauliflower, French Lentils, Sweet Peppers, Cucumber, Cherry Tomatoes, Hard Boiled Egg, Yellow Zucchini with Roasted Tomato/Olive/Caper Vinaigrette”) and had it topped with pulled chicken. Yes, it’s a lot of stuff. And it’s a quality salad; the veggies are all nice and fresh, and the zippy vinaigrette suited it well. The pulled chicken was above average, and did a good job of making the salad feel like a full meal. But the roasted cauliflower was overcooked and mushy, and the egg was chalky and dry, which was unfortunate. Also unfortunate: with the chicken add-on, it came up to about $17.50. That’s almost hilariously expensive for a salad that, though tasty, isn’t substantially better than the pre-packed salads you can get at a nicer supermarket (which cost about half as much). 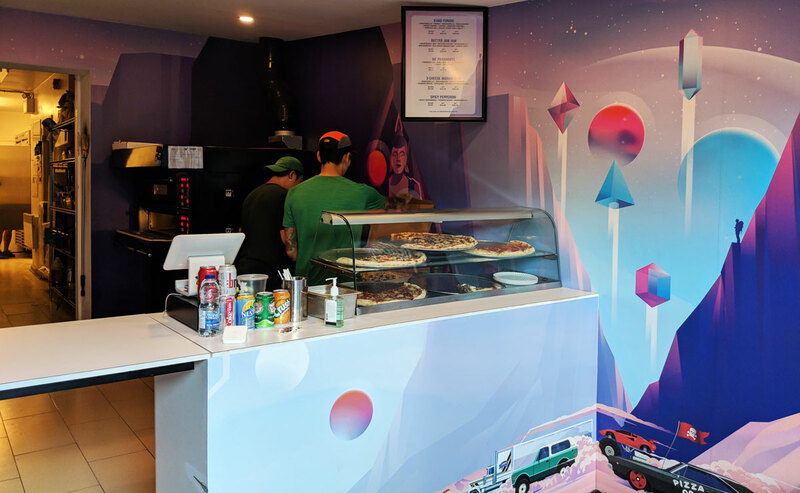 The dessert pizza at Big Trouble Pizza — called the Butter Jam Jam — is quite odd. 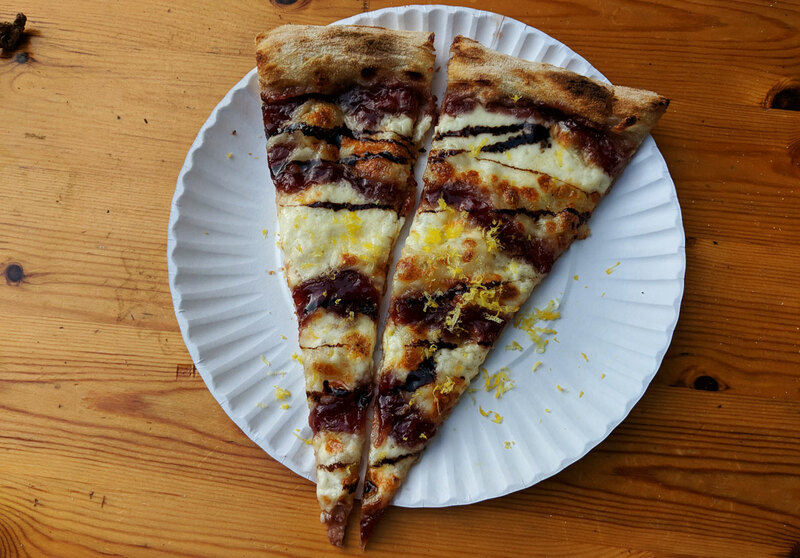 It features raspberry jam, butter cream, bocconcini cheese, mozzarella cheese, balsamic reduction, and lemon zest. It sounds kinda absurd, and… yeah, it’s absurd. I was hoping it would be one of those things that sounds weird but is actually great; no such luck. It’s not bad, though. It’s generally tasty enough — all of the components are good — but the flavours/textures never quite cohere in any meaningful way. It’s a little too salty for something that’s supposed to be a dessert, and nothing about it particularly pops. It tastes like something you might whip up in a moment of bizarre inspiration (perhaps under the influence of a certain substance that was just legalized) and then, once you actually try it, never make again. Still, I didn’t dislike eating it, I guess. And the crust was actually quite good, with a light exterior crispiness, and a pleasantly chewy interior. It definitely makes me want to go back and try one of the traditional pizzas.